After something of a hiatus, Manchester's Claro Intelecto is back to release his third full-length album, ‘Reform Club’, on Delsin Records. Throughout his career, the man known as Mark Stewart has always created lush deep house and techno soundscapes awash with dubby undercurrents. They have previously come on Boomkat's boutique label Modern Love, whilst his recent ‘Second Blood’ EP marked a Delsin debut. It was his first real outing in some time, bar the odd remix for the likes of Depeche Mode, The Black Dog and Delphic, and was well received by fans of Stewart's past work, including the likes of his stripped back Warehouse Sessions 12" series. Not bad for someone who, many, many moons ago, having dropped out of art college, was working as a screen printer during his teens. Music, though, became an ever more important preoccupation for the Manchester man, so it was only natural for him to spend any and all money on a sound recording course at Spirit Studios (incidentally, the same space in which rave legends 808 State had recently laid down their "90" album). Fast forward to the point where Stewart had completed an Art Degree at University and Claro Intelecto was born – an integrated project of moving images, graphic design and music with a decidedly cinematic bent. That spawned the much later released track ‘Peace Of Mind’ amongst others, and it wasn’t long after that some well received demos at Ai Records and Modern Love gave Mark his first vinyl release, just after the turn of the millennium. A heavyweight, dub oriented house and techno framework has loosely characterised Claro Intelecto's output over the years and as well as producing and composing, Stewart takes a bespoke live show across the globe, playing everywhere from Sao Paolo to Moscow via Sonar, Communikey and… Jerusalem! Wherever he plays, though, or whatever he produces, the underlying aim is always the same: to make decent, honest house and techno music that follows no brief or zeitgeist, instead focusing on its own sense of soul and detailed depths. 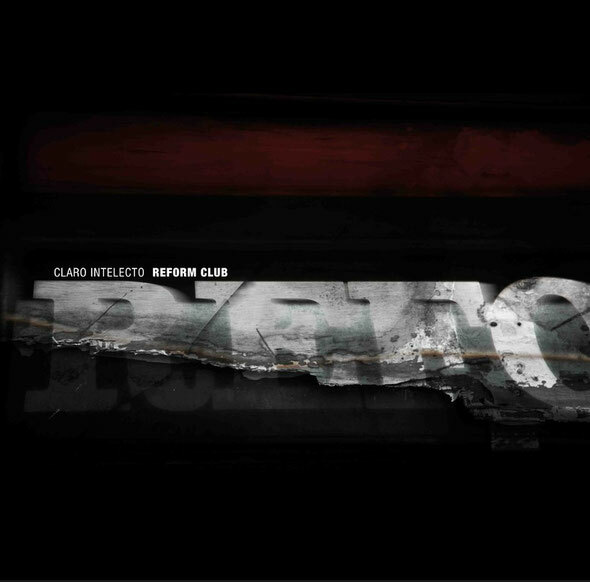 ‘Reform Club’ is an album that deals with all the usual moods and textures you'd expect from Claro Intelecto: it's warm and cuddly, comforting and inviting right from the first track, despite the rough edges and well defined analogue details which pervade throughout. Building slowly but surely, it progresses through kick driven deep house, bounces along on top of stretched out synth lines and forever keeps the mind occupied, shape shifting before your very ears like something with a life all of its own. There are blissed out and sun kissed moments that look to the future right at the heart of the album, but the pace slowly rebuilds to more kinetic, yet just as soft-edged techno peaks, flashed with acid, icy hi-hats and ambient static in the ensuing tracks. Though the whole album is dreamy and sounds deeply submersed in some foggy subterranean world, it stays dynamic and lucid with plenty of serene melodies and celestial emotions offsetting the gently churning beat tumbles below. 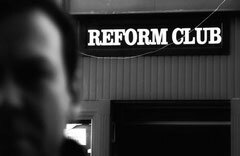 Like all the full length works of Stewart, ‘Reform Club’ makes most sense when listened to from start to finish: getting lost in its midst may surely to be one of 2012’s greatest listening pleasures. Out 16th April.